ALMAX manufactures both resistive touchscreens and capacitive touchscreens. Touchscreens can be used alone or integrated into complex interface assemblies. In addition to standard touchscreens, we can manufacture touchscreens designed for harsh environments, medical devices or luxury consumer goods. With their etched conductive layers, capacitive touch screens enable touches to be sensed through protective layers making them the touch screen of choice for high use applications. Our capacitive touch screen manufacturing capability supports numerous screen materials, protective coatings, output interfaces and graphic printing options, so whatever your design, we can meet your requirements. 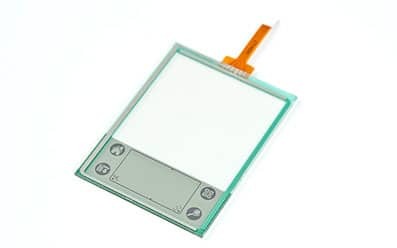 Capacitive touch screens are an excellent component for use in integrated assemblies and are frequently combined with membrane switches and rubber keypads.